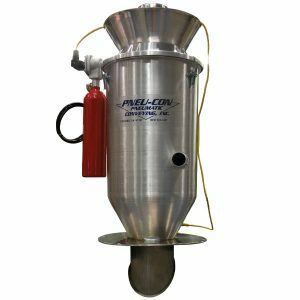 Whisper Loaders | Phenix Equipment Inc.
Pneu-Con’s proven self-contained Whisper® Loaders offers you a complete system that affords ease of operation, and low maintenance, reducing the cost of producing your finished product. 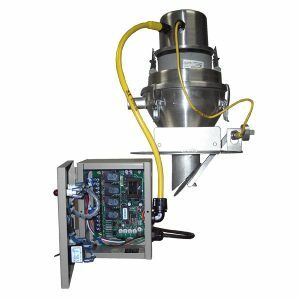 WHISPER® Loaders work automatically to maintain a constant material level in day bins or receiving hoppers which are located above injection, extrusion, or blow modeling machines. Each self-contained system operates on a batch principle. The duration (time) of conveying and dump cycles are pre-determined by adjustable timers. 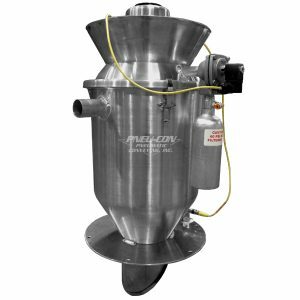 Automatic high-level control of process hopper using a proximity switch. Operates as a self-contained, stand-alone system. 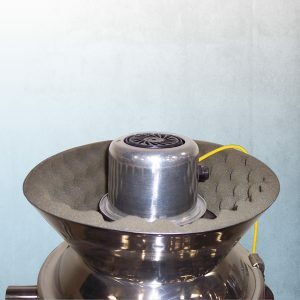 “Di-Ac” (Diaphragm Action) automatic filter cleaning action. 120-volt power, pre-wired with power cords. Electrical control panel, solid-state PLC control circuit board with adjustable timers, run, and maintenance indicator lights, built-in circuit breaker overload protection, and a twelve (12) foot control cord. Vacuum motor with “Quick” disconnect for easy removal. Ten (10) feet of PVC flexible conveying hose, with pick-up lance.